petit morpho represents a number of new invited and established artists, and is committed to introducing art with something at heart to an international audience by offering a long term collaboration and commitment. It shows and promotes both local, and international artists; the combination of established innovative artists, and younger talents makes the artistic profile of its actual, challenging, persistent, and unprejudiced. 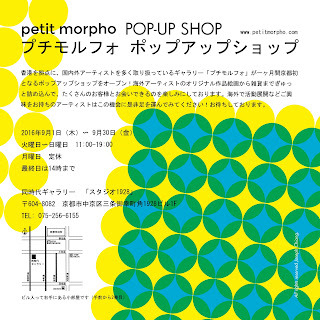 petit morpho promotes art through exhibitions, consulting for art collectors and corporations; participating in art fairs, organizing projects and events.